Tarrant County Housing Partnership, Inc.
A look at 20 years of opening doors and fulfilling dreams. View a photo album. 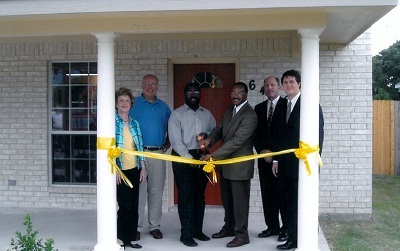 Since 1991, Tarrant County Housing Partnershp has helped hundreds of families become proud, successful homeowners. The Tarrant County Housing Partnership story began in 1991, when Fort Worth mayor Bob Bolen created a task force to address the housing needs of Fort Worth families with lower and moderate incomes. During TCHP's first two years of operation, the organization had processed nearly 100 applicants for the Single Family Homeownership Program, a forerunner of the down payment and closing cost assistance program administered by the organization today. 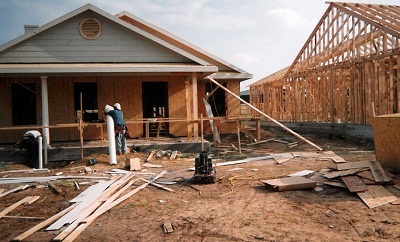 During that time, TCHP also generated more than $1 million in first-lien mortgage loans, launched a homeowner education program, and forged strategic partnerships with other non-profit organizations to develop housing for special needs groups, such as persons living with HIV, mental and physical challenges. TCHP's first-time homebuyer program blends financial assistance and homebuyer education to help hard-working community members make a first-time home purchase. "Since our inception, we've remained committed to our mission to increase the supply of quality affordable housing,” said Van Ness. “TCHP has assisted more than 500 low-to-moderate income families purchase their first home, and in many instances, our clients are the first people in their family to own their own home. To date, we've administered over $21 million in local federal funding to produce more than 3,600 affordable housing units throughout Tarrant County. "We're very proud of these accomplishments, and we look forward to seeing those numbers grow over the next 20 years," she said. In addition to the down payment assistance and first-time homebuyer education programs, TCHP also launched a HOPE 3 Lease Purchase program in partnership with the City of Fort Worth during the organization’s first years in operation. This program laid the foundation for the affordable rental program the organization manages today. 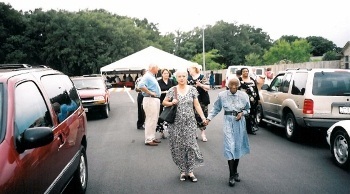 Throughout the 90s and the early 2000s, TCHP continued to expand delivery of its mission through the development of new projects, including property acquisition, rehabilitation and new construction, which heralded the organization’s foray into neighborhood revitalization. Working in partnership with HUD and other partners, TCHP purchases and rehabilitates vacant, distressed and foreclosed properties, which are then sold to low to moderate-income homebuyers. In some instances, the organization’s revitalization projects have also included the demolition of sub-standard properties and replaced with the construction of well-built, attractive and affordably-priced new homes in neighborhoods threatened with blight and decline. To date, TCHP has rehabilitated and resold more than 350 homes, resulting in an increase of more than $20 million in property tax value for our community. Revitalization projects like Jordan Lane, Henco and Toliver Acres minimize neighborhood blight and increase property tax revenue. “Neighborhood revitalization projects over the years have included Toliver Acres in northwest Arlington, the Henco Community in southeast Fort Worth, and most recently, the Jordan Lane development in west central Arlington,” said Van Ness. “We're in the early planning stages for two additional revitalization projects in Fort Worth, both of which will ultimately become TCHP’s first 'green' neighborhood developments." Besides the creation of affordable homes, the new developments have also resulted in well over $3 million in increased property tax revenue. In response to the growing need for TCHP's services in the wake of the recession, the organization relocated to larger headquarters to accommodate homebuyer training classes and increased client demand for services. TCHP also launched an expanded foreclosure prevention program, anchored by partnerships with Fannie Mae and other lenders, that offers free education and advocacy for homeowners in danger of losing their homes. "Our mission is as much about helping people keep their homes as it is about acquiring a home," explained Van Ness. "People who find themselves faced with a sudden loss of income are often overwhelmed by the magnitude of their problems, or they and are unaware of resources that may be available to them. "Our partnerships with lenders put us in an excellent position to help these homeowners identify options and develop a plan that puts them back on the road to stability," she said. Collaborations with business and public sector partners help TCHP deliver its mission to increase access to affordable housing in our community. In fact, the development of partnerships with community organizations, corporations and the public sector has been a distinguishing feature of TCHP. 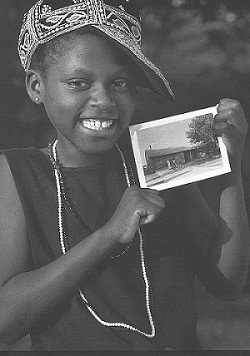 The organization has enjoyed successfully partnerships with early collaborators like the City of Arlington, the City of Fort Worth and Tarrant County Community Development, and continues to develop new opportunities for program expansion with organizations such as Enterprise, the Housing Partnership Network and the Texas Department of Housing & Community Affairs. “We've also extended our outreach through new partnerships with other local social service agencies and other non-profit organizations, which has increased community awareness of our programs and services,” said Veronica Serna, who has served on the TCHP staff since 1996. “Banks and financial institutions have also become more aware of the importance of responsible community lending, and loan officers help provide information to their clients about our down payment programs and homebuyer education. “We've always believed in creating long-term relationships with clients,” added Serna. “I think it's one of the most important values that we offer. We don't just hand out certificates to the homebuyers that come through our program, we continue to provide educational opportunities beyond their purchase. 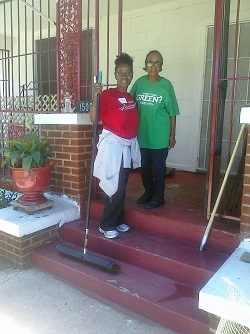 They also know that they can come to us if they encounter challenges in sustaining their homeownership." "I think that TCHP's strengths include a dedicated and passionate staff, a strong board with a strategic vision, and skilled management that continually demonstrates good stewardship of federal funding," added Donna Van Ness. "As staff members, we find that TCHP's values align with something that's very important to us---helping our neighbors, supporting our community, and making a difference in other people's lives." Both Van Ness and Serna said that they're also proud of the organization’s willingness to “go above and beyond” to help hard-working citizens realize their dreams of homeownership---a perspective echoed Charleen Goldston, chairman of the organization's board of directors. Twenty years of opening doors and fulfilling dreams. “The TCHP family has been fortunate enough to have a wonderful experience---the experience of helping people who want to help themselves,” said Goldston. “Whether it’s helping a family learn about the ins and outs of homeownership, or helping a family acquire a decent, affordable place to live, TCHP has been there for our community for 20 years. “Because so many of our neighbors have faced economic challenges in recent years, we’ve expanded our work to include foreclosure prevention counseling that helps families in crisis keep their homes,” Goldston continued. “I’m proud of TCHP for stepping up to provide leadership in this area, and for our efforts to revitalize distressed neighborhoods and help those communities bring back the pride of homeownership to their streets. “The combined commitment of our staff, or volunteers and our partners will surely mean that TCHP will continue to make a difference in our community for the next 20 years,” she said.